Home / -TV Schedule- / Beatles / David Bowie / Eagles / Led Zeppelin / Rolling Stones / Television Programming / Ovation Network to Air Classic Rock Documentaries Not Previously Seen in the U.S.
Ovation Network to Air Classic Rock Documentaries Not Previously Seen in the U.S. 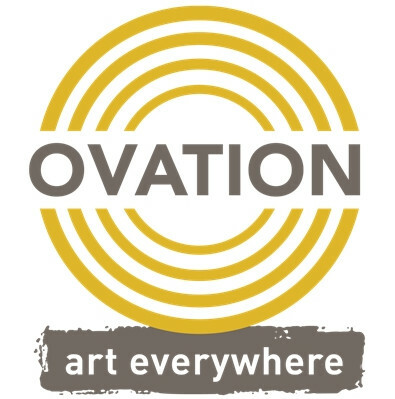 The television network Ovation has set June as a month long celebration of classic rock. The arts channel has unearthed a number of documentaries on the likes of the Beatles, the Rolling Stones, Led Zeppelin, the Eagles and David Bowie that have not previously aired on American television. The series starts on Sunday, June 3 with The Beatles: Parting Ways and continues the next day with Becoming...The Beatles, examines two separate phases of the career of the Fab Four. John, Paul, George and Ringo: the four most iconic names in pop music. Together, they weave the story of the Beatles, still listed by Rolling Stone magazine as the most important band in the world. Since bursting onto the music scene in the 1960s, the Beatles have embarked on successful solo careers, faced difficult personal and legal battles, but ultimately endured. An unauthorized story on life after the Beatles, Parting Ways examines the phenomenon that was BeatleMania. The Beatles endure as the greatest popular music band of all time as the band's music and lyrics have transcended the decades - and John, Paul, George, and Ringo's individual personalities - to influence generations of musicians and fans across the world. But before the fame and fortune there was the lesser-known story about the six young men who would - and wouldn't - grow up to become The Beatles. Led Zeppelin was one of the greatest rock bands of all time. For nearly a decade, they dominated the music industry releasing 9 albums and selling over 300 million records worldwide. Their music has shaped rock and heavy metal music for generations. Follow the exciting story of Led Zeppelin from their formation out of the Yardbirds in 1968 to the bands dissolution after the tragic demise of John Bonham. Including performance footage and interviews with the band, this is the story of Led Zepplin. Enter the life of one of the greatest guitarists of all time: Jimi Hendrix. Despite his mainstream career only sadly only spanning four years, he is widely regarded as one of the most influential electric guitarists in the history of popular music, and one of the most celebrated musicians of the 20th century. Learn about the seeds that planted his musical genius leading up to his tragic death. With exclusive interviews from some of the people lucky enough to work alongside Jimi, we take a look at how the legendary guitarist lived his life in the high-powered world of 60's Rock 'n' Roll. This documentary pays tribute to the life and career of one of the main band members, Glenn Frey. It revisits the achievements of one of the bestselling and most loved American rock bands of all time. Featuring some of their most popular tracks including "Hotel California", "New Kid in Town", "Life in the Fast Lane", "One of these Nights" and more, follow the journey of the life of a true musical icon who will always be remembered. The Rolling Stones are as well known for their music as they are for each band member's highly public and often troubled personal journey. Pioneering a gritty blues-based style of rock & roll in the 60's, the Stones gathered fans and momentum alike with front man Mick Jagger's unique blend of macho showmanship and camp irony attracting plenty of attention. For over four decades, the Rolling Stones have been on top. Arrests, drugs, fall-outs, death and relationships have stood centerstage with eight consecutive number one albums in the U.S. and sold out live shows. This documentary on one of music's most enduring and entertaining acts is compelling viewing. 'The Rise and Fall of Ziggy Stardust and the Spiders from Mars' is one of the most influential albums in the astonishing career of David Bowie. It was released 1972 and is the record that set Bowie on course to becoming one of the best-known rock stars in the world. In just over a year, Bowie penetrated the minds of the nation's youth with a killer combination of extraterrestrial rock 'n' roll and outrageous sexuality, all delivered in high-heeled boots, multicolored dresses and extravagant make-up. Ziggy turned Bowie into stardust. This documentary unravels the story of how Bowie became one of the most iconic figures in the history of music. From his music, his fashion and his theatrical stage presence, all merged together turned David Bowie into the biggest craze since the Beatles. Ziggy's instant success gave the impression that he was the perfectly planned rock star. But, as the film reveals his career was full of highs and lows to hit on just the right formula that would take him all the way to the top. We pay tribute to his career and the impact the dazzling man had on the world.